9:00 -Meeting with English speaking guide in the lobby of the hotel, accommodation in a comfortable bus. 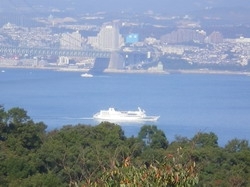 You will find a tour to the island of Awaji! “Then the god Izanagi no Mikoto first said:” Truly, a beautiful girl! ” After him, the goddess Izanami-no mikoto- wife said: “Verily, a fine young man!” And when, as saying, united, the child who gave birth was Awaji Island “- in Japanese mythology Awaji Island (Sim) was the first Japanese island of the created gods Izanagi and Izanami. Therefore, this is the place where you started the Japanese land. Not very often here set foot turista.No you give such vozmozhnost.Dlya order to get to the island, it is necessary for prohat bridge Akashi Kaikyo , it is called “Bridge-pearl,” he connected the island of Honshu and Awaji . 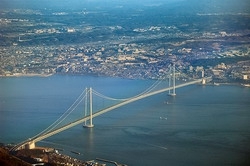 This bridge is an important part of the transportation system between the two major islands – Honshu and Shikoku. The total length of the bridge – 3911 meters, and the length of the central span – the longest suspension bridge in the world. Do not forget to experience – you will soar under heaven, below you inland sea, sailing ships. Akashi Kaikyo Bridge , double champion in the Guinness Book of Records: the steel wire from which the suite of powerful ropes that hold the bridge over the water, can be seven and a half times girdle the earth, and the span between supports the world’s largest – nearly 2 kilometers.The height of the pillars of the bridge – 300 meters, they, like the whole structure, able to withstand an earthquake of 9 points. about the events of antiquity here little resembles. The island lives about 160 thousand. Man and divided it into 3 conditional city. The only form of transport – road. The climate is mild, with relatively little rainfall contributes to agriculture. Local people are engaged mainly in agriculture, animal husbandry (here grow the famous bulls, for marble meat) and fishing. This real Japanese hinterland. Along the perimeter of the island are beaches, parks, fisheries. 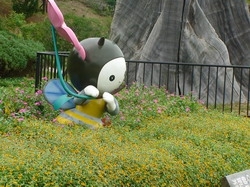 Here you really feel the spirit of Japan. Awaji Island Area – 593 sq. km. From the height of the Ferris wheel offers a magnificent view of the azure sea, on which float ships, natural landscapes of the island, Kobe city views. It is a favorite resting place of the Japanese. During the tour you will visit the luxurious “Oasis” park (free entry) , with lots of exotic plants, at any time of the year it is wonderful. 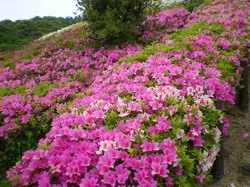 Japanese admire the landscape, which combines the natural park and the creation of gardeners. The variety of colors is striking, it varies depending on the time of year. The shopping pavilion can be selected in the memory of the trip souvenirs, sweets, dried seafood. Clean air – wind rose fill light sea, mountain air and the smell of the plants. 13:00 -Obed with views of nature at a local restaurant. The guide will help you with a choice of dishes. 14:00 – . 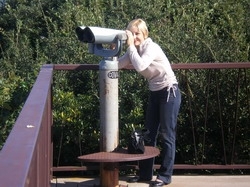 Continuation of the tour you will make a Naruto-cruise on the Inner Sea of Japan on the ship. By the way, apart from the usual species of fish are found here amfidromy fish, crab, horseshoe, bespёraya porpoise and the great white shark, occasionally attack humans. Although, on the coast there are beaches Awaji. This sea is part of the Pacific Ocean. 21:00 -Return to the hotel.